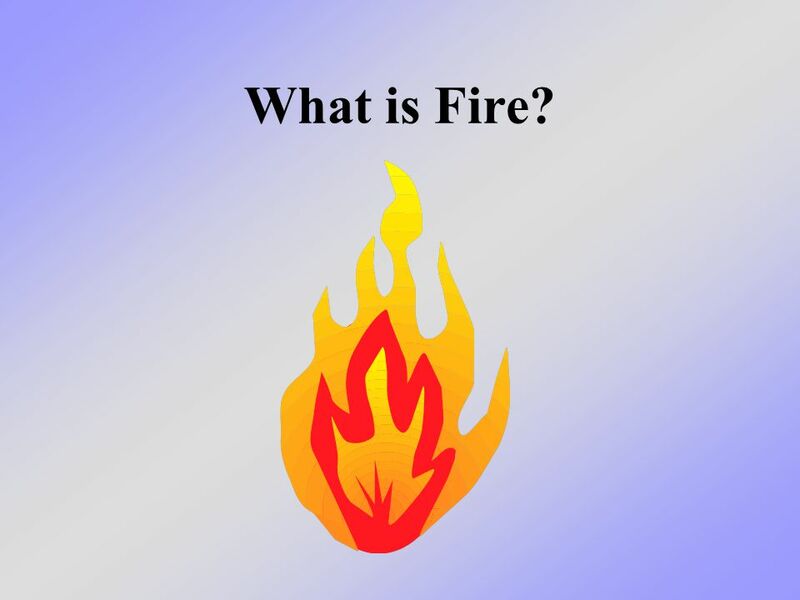 What is Fire?. 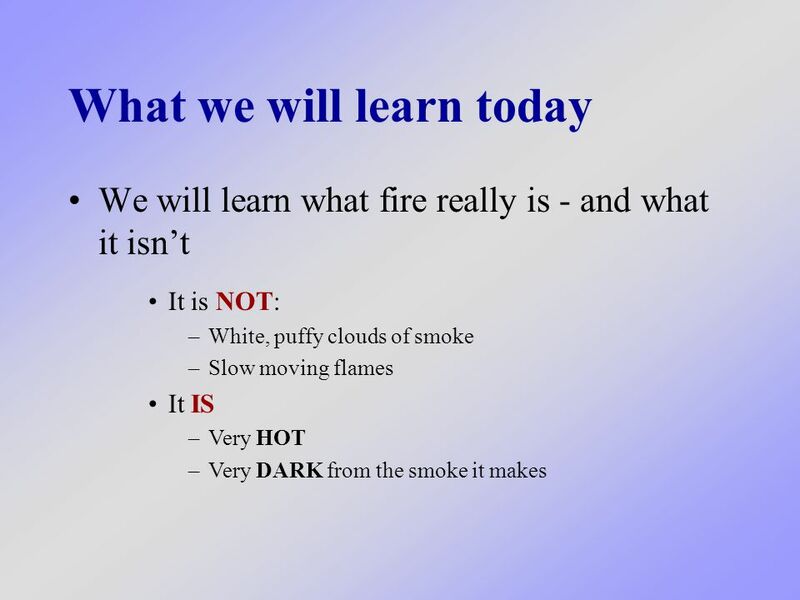 What we will learn today We will learn what fire really is - and what it isn’t It is NOT: –White, puffy clouds of smoke –Slow moving flames. 7 Grill Good fire or bad fire? 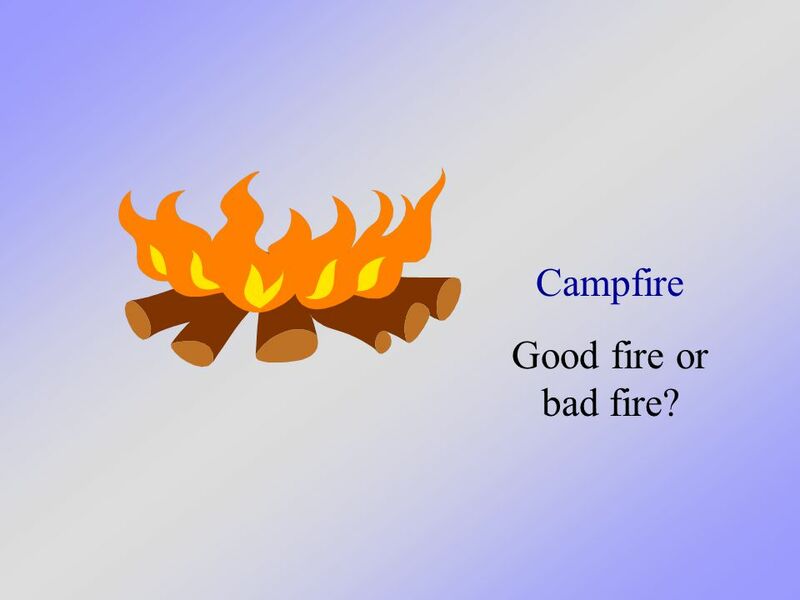 8 Campfire Good fire or bad fire? 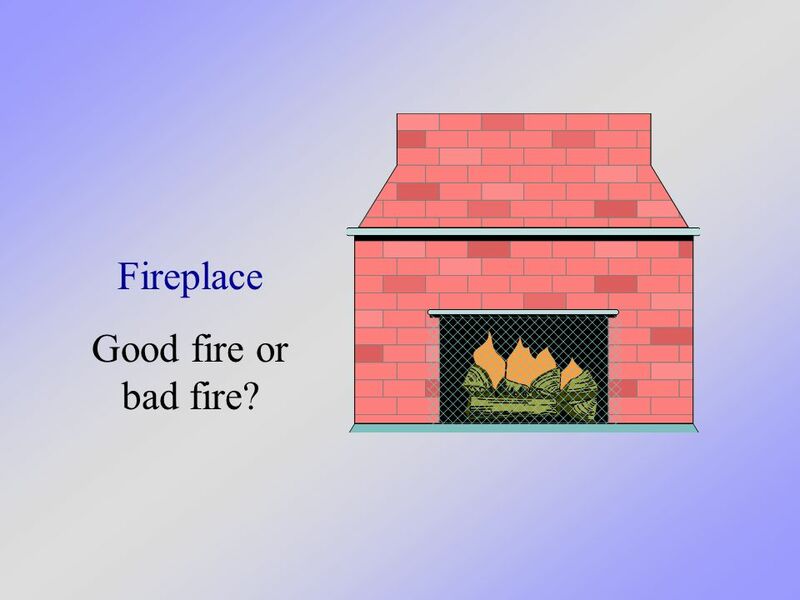 9 Fireplace Good fire or bad fire? 10 Cooking Good fire or bad fire? 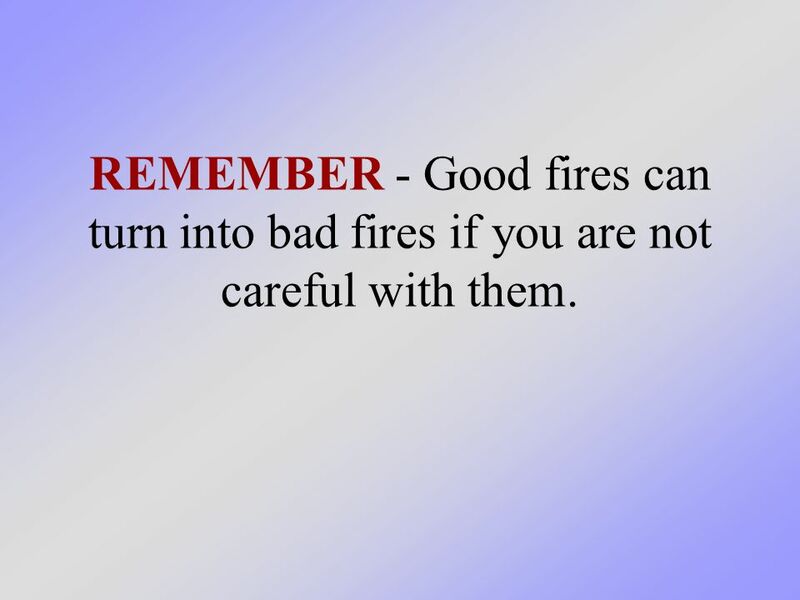 11 REMEMBER - Good fires can turn into bad fires if you are not careful with them. 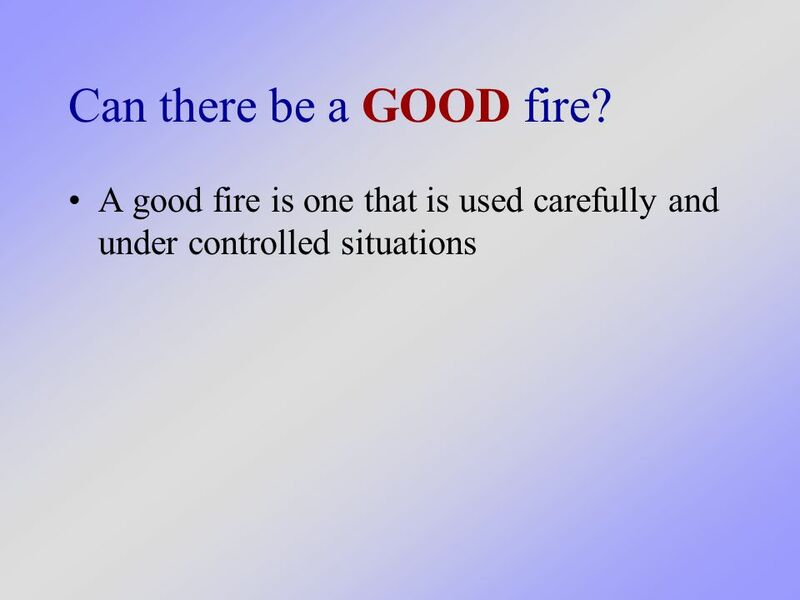 Download ppt "What is Fire?. What we will learn today We will learn what fire really is - and what it isn’t It is NOT: –White, puffy clouds of smoke –Slow moving flames." Safe at Home Review What did we learn this year? I will not play with matches and lighters. Home Fire Hazard Inspections. What we will learn today We will learn how to keep our homes and families safer by conducting home inspections to find the. Safe at Home Review What did we learn this year?. Burn Prevention and Treatment. What we will learn today We will learn about the different types of burns, the three degrees of burns, and how you can. Fire’s Hidden Dangers. What we will learn today We will talk about what is so dangerous about fire and how fire produces different conditions that can. How to use a Bunsen burner. 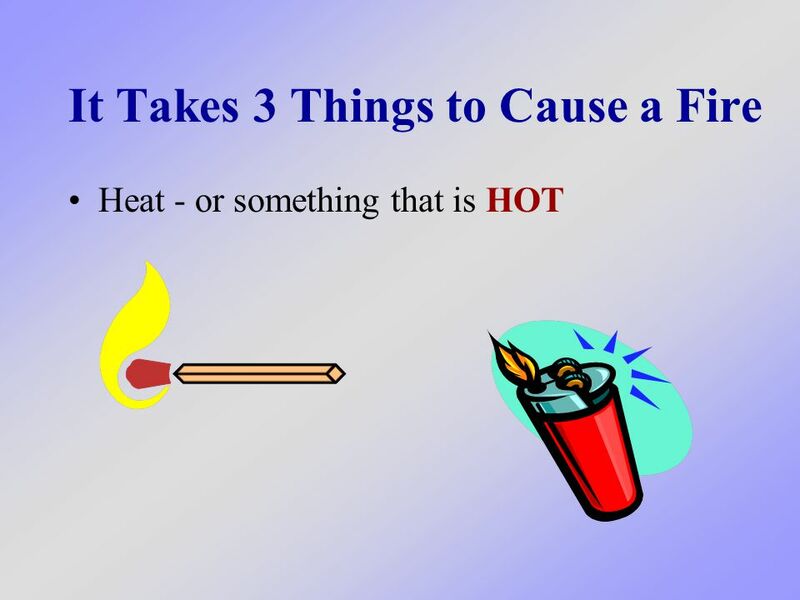 Heat is transferred in 3 ways: Conduction – touching the heat source Convection – being warmed by the heat coming in waves Radiation – being warmed by. Mrs. Woods’ First Grade SCIENCE The Sun, Moon, and Stars. Fire Triangle FuelHeat Fire! Oxygen 1 st Stage: Incipient 1 st stage No visible flame Little smoke Is not yet self-sustaining According to the National. 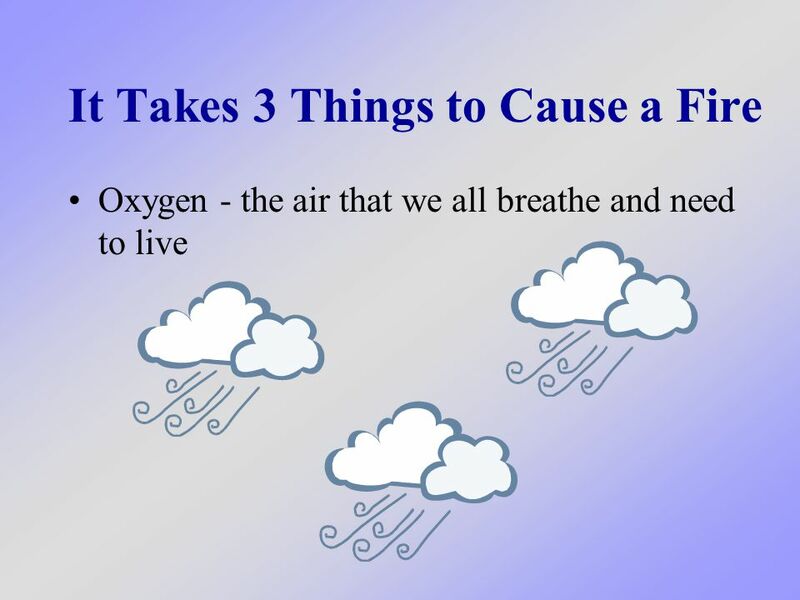 Maintaining Smoke Alarms. What we will learn today We will talk about how important it is to maintain your smoke alarms in good working order - and that. Introduction to heat Is this heat? When I touch it, it burns me. I can feel the heat at a distance The hot gases rise. THE TRIANGLE OF FIRE. 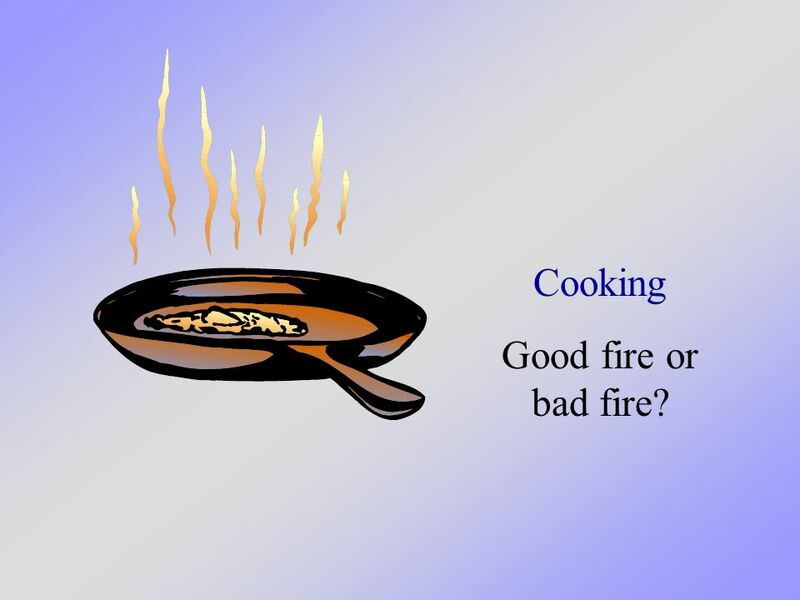 Learning Objective: –Children will be made aware of the three elements that make up the Triangle of Fire. –Children will be made. In Australia, fire is a significant hazard to people, property and the environment. A fire at home can mean more than just a few days off. You, could. Chapter 1.5 Fire Regulations. 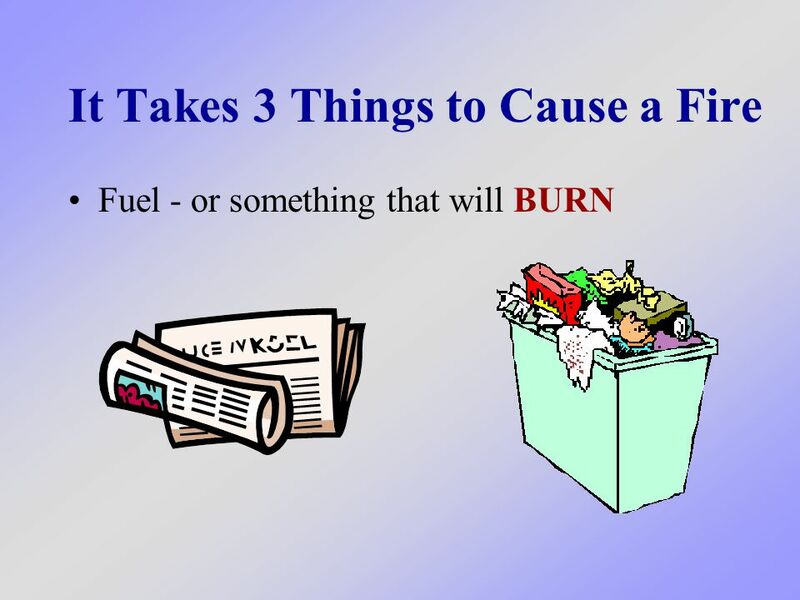 Components of a fire Fuel: Something that burns Air: Oxygen to keep the fire going Heat: Gas, electricity, etc. By: Jeremy. 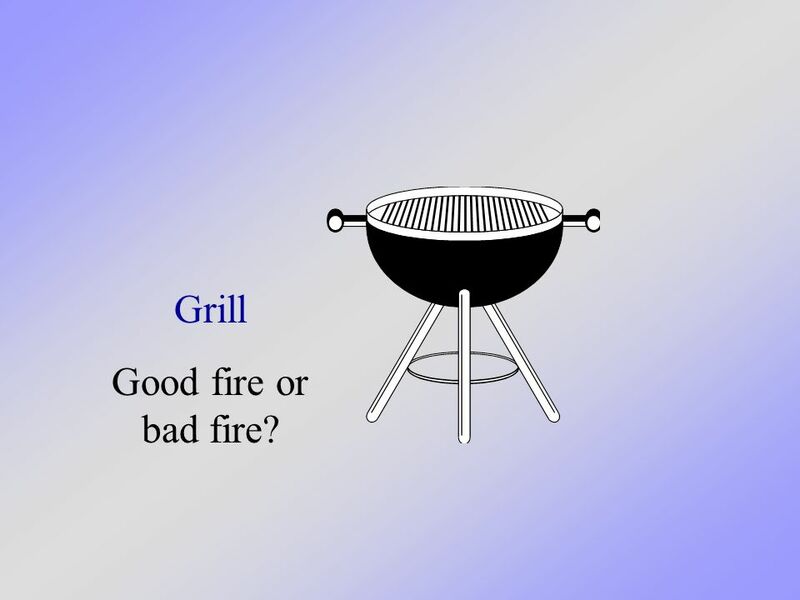  For people especially American, barbecuing is the greatest thing for American to spend their time in weekends but there is some downside.